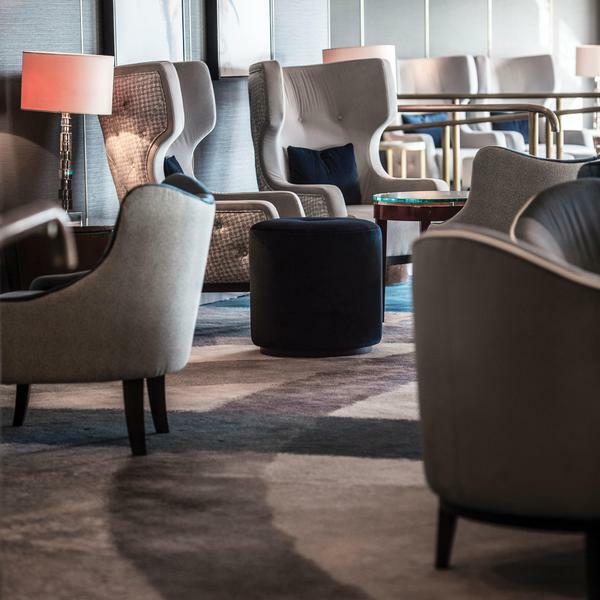 Brintons collaborated with AD Associates to create approximately 3,000 square yards of custom axminster carpets for the award-winning Crystal Symphony. Officially titled the Evolution of Luxury, the ship’s refurbishment incorporates new dining and open seating concepts, while decreasing the overall capacity allowing for more space and a sense of heightened comfort for guests. Tasked with the redesign, London based design firm, AD Associates cleverly employed bold geometric designs to update the space and harmonize with the existing interior architecture. 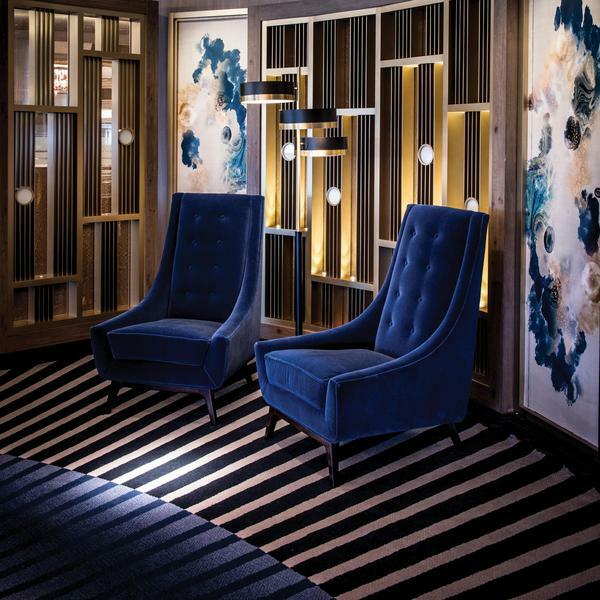 This was achieved in the Starlite Club via a concentric design with subtle blending to complement the overall palette and in the Waterside with radiating blue, black and white stripes. 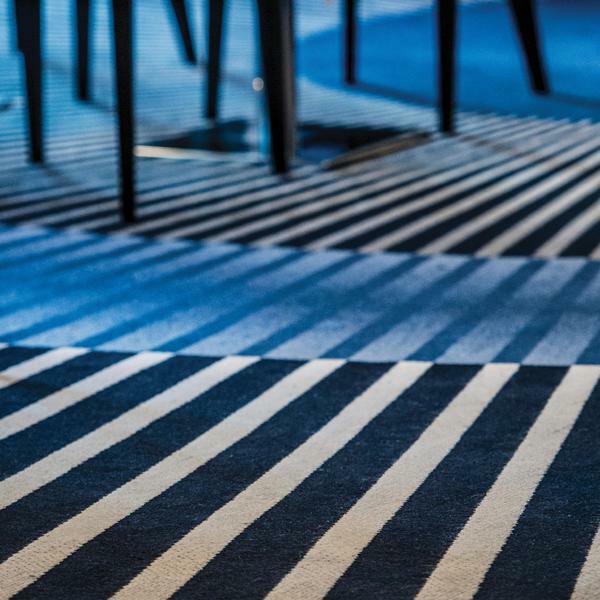 The striking high-contrast carpets reach out and lure guests into a dynamically designed room. Cruise Critic awarded The Crystal Symphony as the Best Ship Refurbishment of 2017 in the Luxury/Ocean category.